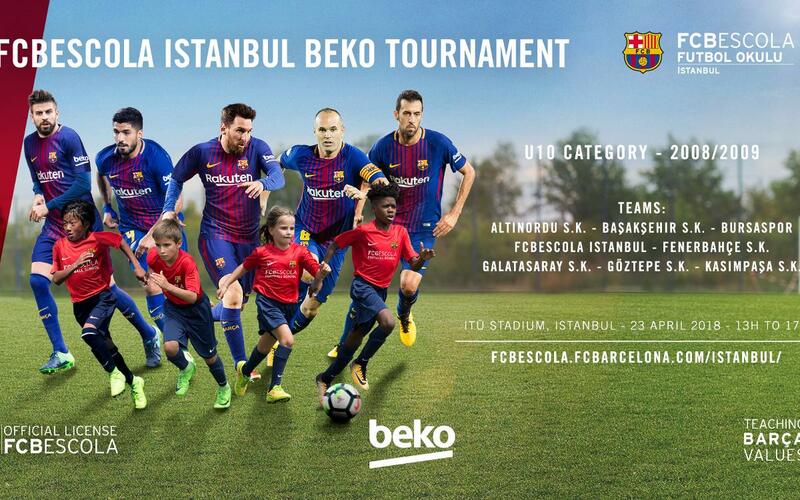 The highlight of the FCBEscola Istanbul Beko’s celebrations of Children's Day on Monday 23 April is the first edition of an U10 tournament bringing together the best football schools in the country. The first FCBEscola Istanbul Beko tournament is being held on the grounds of Istanbul Technical University (ITÜ) and will be welcoming Galatasaray SK, Bursaspor, Fenerbahçe SK, Basaksehir SK, Göztepe SK, Kasimpasa SK, Altinordu SK as well as FCBEscola Istanbul. Involving a total of twenty games, it begins at 1.00pm and will involve groups followed by semi-finals and a final. The Turkish school’s local project directors, Albert Medall and Jesús Almansa, have described it as “a great chance to showcase our methodology, create new partnerships and help to develop youth football in Turkey by strengthening our relations with other schools in the country. We are also convinced that this tournament is the perfect stage for children to show off good football, as well as values and sportsmanship”.